When it comes to making payments, the standard method is generally a bank transfer. Alternatively, you could also use a credit card like Visa or Mastercard, or if you’re really up to date with current technologies then you can use Paysafe cards, or even an e-wallet like Neteller or Skrill. But did you know that you can also make a deposit at an online casino without ever using a bank account or an e-wallet? There are now many different operators which accept Boku as a depositing method and that means it has become much easier to stay ‘off the grid’. Because this company will let you make payments with your mobile phone subscription! Do you have a mobile phone and do you have a phone subscription? If you answered yes to both, then there is a good chance that you are able to use this particular depositing method to put money in your online casino account! The main idea is that you can transfer money by putting it on your phone bill. That means you can simply use their system to charge your phone bill, after which the exact same amount is added to your casino account. You can then start playing straight away. This is how it works: First you select Boku as your preferred depositing method, after which you enter your mobile phone number. Then, simply click ‘confirm’ and wait for the page to load. That’s it! Sadly, not every network carrier is compatible with this depositing method, but many of the big brands are. This includes Adyen, Ingenico, Optimal Payments, Xsolla, T-Mobile, Vodafone and O2. According to the official website of Boku, they have no less than 3.2 billion potential users… That means nearly half the world population currently has access to their services! 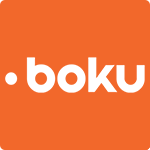 Boku is currently connected to 173 different network carriers in over 50 different markets, which makes it the largest independent carrier billing company in the world. They are used by digital marketplaces like the Apple Store, the Google Play Store, the Playstation Store, the Windows Store, the Facebook App Center, Spotify and so forth and so on. That means it can certainly be seen as a verified payment method, which makes it anonymous and safe at the same time. Because, technically, you would be able to avoid the banking system altogether if you decide to use Boku as your preferred payment method! You would need to pay your phone bills in cash, though, because otherwise your bank would still be indirectly involved in this whole process. Either way, it’s pretty easy to put money in your online casino account with Boku. Simply charge it to your phone bill and try your luck. But what happens when you win? You can’t just withdraw your money and put it on your phone subscription, so you’re going to have to get it in another way. That is why you will need to withdraw it in another way, like for example to your Neteller account.